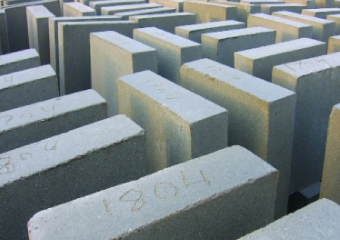 Founded in 2014, the company can provide cost effective, eco-friendly and sustainable building materials on site, using the very soil of your excavation, for your wall, house, office and any other structure you wish to construct. Like Antaeus, son of Gaia, the legendary giant of myth, the company gains its strength from the very earth we walk upon. 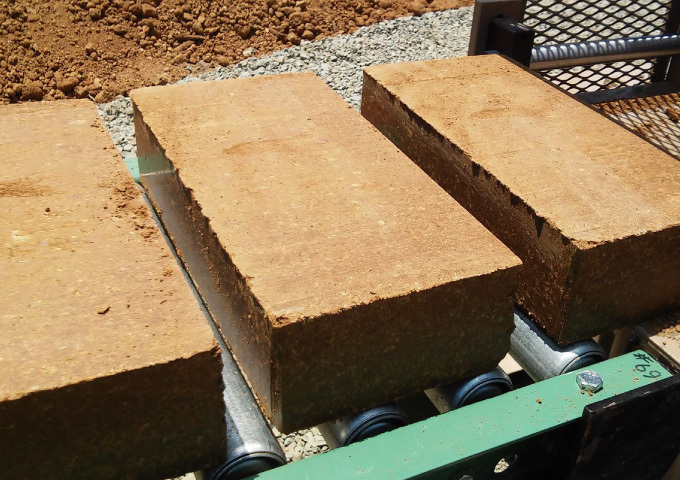 A Compressed Earth Block is a type of manufactured construction material that is formed in a mechanical press, from an appropriate mix of dirt, non-expansive clay and aggregate, into a compressed block. The first batch of red CEBs, see how the natural colors of the earth in pattern shown! Compressed earth blocks can be stabilized or not. Additives for stabilization are cement or lime. 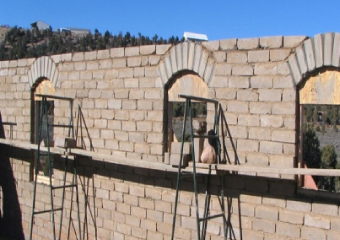 Once people see the natural beauty of a CEB wall, they often ask, "Do we have to cover them?" © 2015 Gigiantas Antaios Touvlopiio LTD. All Rights Reserved.